Less than a year after it re-opened for business, Co. Limerick’s Adare Manor has been named the world’s best luxury hotel. The five-star was voted ‘Hotel of the Year 2018’ at the Virtuoso ‘Best of the Best Awards 2018’ held in Las Vegas this week. Adare Manor re-opened last November after a 21-month overhaul and extension that included 42 new rooms, a ballroom and a Tom Fazio-designed golf course. “Maintaining the estate’s neo-Gothic architectural heritage and stonework was but a small portion of the fantastic overhaul,” Virtuoso has said. And the price to stay? B&B ranges from €500 per night for a Classic King to €2,250 for a Signature Suite in shoulder season. 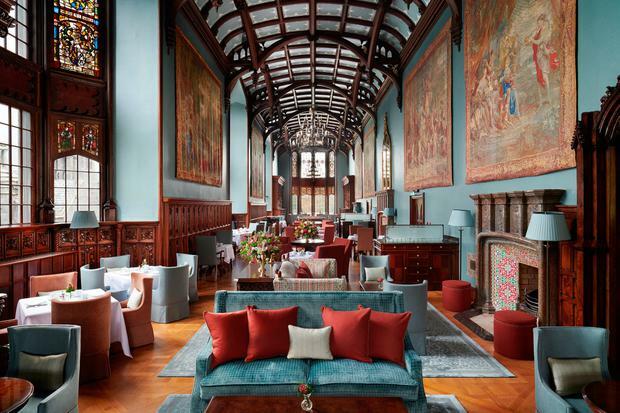 Read our latest Adare Manor review here. Adare Manor in mid-refurbishment. The resort re-opened in November, 2017. Virtuoso is one of the travel industry’s leading luxury networks. Its awards shortlists are nominated by thousands of travel advisors, with members voting on the winners. 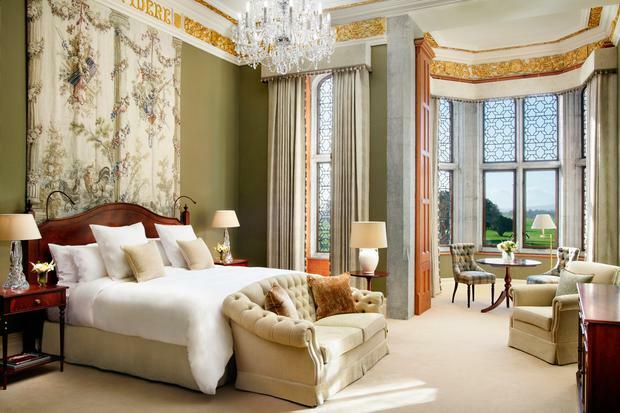 This isn’t the first time an Irish five-star has scooped its top hotel prize – in 2015, the newly revamped Ashford Castle was named Hotel of the Year. Adare Manor was bought by JP McManus and family for a reported €30 million in 2015. A budget has not been published for its extension and refurbishment. This May, the Limerick resort was also named on Condé Nast Traveler’s Hot List as one of the best new hotels in the world.